Perl Tutorial just a plain Perl tutorial. Nothing fancy. Beginner Perl Maven video course slidecast of the training material. 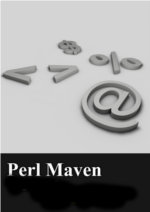 Advanced Perl Maven video course mixed slidecasts, screencasts and plain articles. Test Automation using Perl for people who really want to sleep well. Mojolicious light-weight web framework with rainbows and unicorns. Perl Dancer light-weight web framework to rock. Catalyst The MVC web framework of Perl. PSGI/Plack, the low-level superglue between Perl web application frameworks and web servers. CGI, the Common Gateway Interface, for old-school web applications. OOP, the classic way to write Object Oriented Perl code. Moo, the Minimalist Object Oriented system for Perl. Moose, the 'post modern' Object Oriented system for Perl. Perl and MongoDB, the NoSQL database used in Perl programs. Net::Server the framework to build TCP/IP servers. MetaCPAN - articles for CPAN users, CPAN authors, client developers, and MetaCPAN developers. Perl Maven TV Show is a collection of interviews with Perl developers. The search.cpan.org cloning project - Implementing a CPAN search engine using Plack/PSGI with MetaCPAN back-end. Counter Examples Various solution on the simple task of building a counter. Perl::Critic lint-like static analyzer for Perl. Groovy, the programming language used for Jenkins pipelines. Jenkins, the automation server used for Continuous Integration and Continuous Delivery. If you are a beginner, or would like to refresh your Perl programming knowledge, you can go over the Perl tutorial or watch the Beginner Perl Maven video course. If you need to maintain a large piece of software written in Perl by other people in the last 5-10-15 years, that's a challenge. Especially if you did not get proper training in Perl. You are probably limited to a specific and old version of Perl. Check out, the Perl tutorial! You can probably skip the part about installing Perl, but the rest of the tutorial will be relevant for you. Perl is often used in Test Automation. If you work in this field, or if you'd like to work in this field (it is much more fun to find bugs in other people's code than in yours :), then you can read the Perl tutorial and the series on Test Automation using Perl. If you build new web applications - either privately or inside a company - you can start by reading the article comparing CGI, mod_perl and PSGI. From there you can go on reading the generic Perl tutorial or the articles on Mojolicious, Perl Dancer, Catalyst, PSGI/Plack, or even CGI, the Common Gateway Interface, for old-school web applications. In the off chance you are interested in topics other than Perl, especially related to Test Automation, Continuous Integration, Continuous Deployment, DevOps, then you are welcome to check out the list of DevOps related training courses. When you write test you might have tests cases that pass, but at the same time your code might generate warnings. Some of these warnings might harmless, but other might indicated some problem. Either in the application under test or in the tests. In addition if someone looks at the output and sees warnings, the person rightly will be worried that there might be issues with the code. 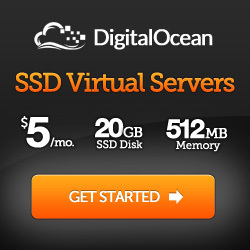 If nothing else then that using it will fill the log files of a web server causing denial of service. The problem is that a warning does not stop the tests and so new warnings might not be noticed in a CI system. Test2 is a relatively new framework for testing Perl code. Let's see how to get started with it, or more specifically with Test::V0.